Would it surprise you to learn the Canadian military spends millions on art and history? Until April the Canadian War Museum is hosting an exhibition of war art from the Ukraine created through the Canadian Forces Artists Program (CFAP). In 2014–15 eight artists were sent to observe Operation UNIFIER, Canada’s “training” mission to support Ukraine’s armed forces. Until April the Canadian Forces Artists Program (CFAP) is hosting an exhibition of war art from the Ukraine created through the Canadian Forces Artists Program (CFAP). In 2014–15 eight artists were sent to observe Operation UNIFIER, Canada’s “training” mission to support Ukraine’s armed forces. The purpose of CFAP is to “encourage artists to learn more about our men and women in uniform and to create works of art that document and explore Canada’s military history and experience.” The program pays for artists to spend 7-10 days in the field with troops to document their activities. While CFAP began in 2001, there have been various iterations of the program over the past century. During World War I, for instance, Canada’s official war art program created almost 1,000 works of art. During WWII the head of the Army’s historical section, Colonel A. F. Duguid, initiated a war art program and over the years the Canadian forces have commissioned sketches of the Korean War, NATO missions, UN operations and the first Gulf War. Today CFAP is run by the Department of National Defence’s Directorate of History and Heritage. With a 50-person staff, the Directorate also supports the Organization of Military Museums of Canada. The half-century old organization seeks “to preserve the military heritage of Canada by encouraging the establishment and operation of military museums.” Along with more than 60 Canadian Forces’ museums, the Directorate supports the Canadian War Museum. DND’s Directorate of History and Heritage is “mandated to preserve and communicate Canada’s military history and foster pride in a Canadian military heritage.” They answer “1,000 questions of an historical nature” annually, helping high school students with assignments and academics navigate archival inquiries. The Directorate also works with the media. In the early 1990s, for instance, senior military historian Brereton Greenhous was a special advisor during production of the CBC film Dieppe 1942. Similarly, director of the historical section Charles Stacey vetted Canada At War, the first television miniseries to document Canada’s part in the Second World War, before the National Film Board produced program played on CBC. The Directorate’s historians also help veterans exert political pressure. After a backlash to a Canadian War Museum exhibit that mentioned the WWII Allied Bomber Command targeting civilians, senior DND historian Serge Bernier was asked to write a report. Bernier concluded the exhibit was hurtful to the veterans. The minister approves publication of Directorate books. On several occasions cabinet has discussed and recommended changes to their histories. 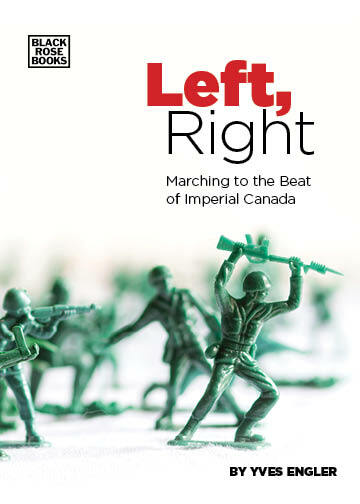 Official historians published a large share of the early books on Canadian militarism and greatly influenced academia. The Directorate was the “graduate school in military history”, notes DND historian William A. Douglas, until “university departments started producing postgraduates.” In the two decades after World War II individuals who worked in the military’s historical sections filled many academic posts in military history and associated fields. And they were often influential in their field. Head of the War Artist Program and deputy-director of the Historical Section at Canadian Army Headquarters in London, George Stanley led the history department at the Royal Military College after World War II. During his career Stanley was president of the Canadian Historical Association, a member of the Massey Commission Committee on Historic Sites and Monuments and chairman of the federal government’s Centennial Publications Committee. At the military-run Royal Military College Stanley taught Jack Granatstein and Desmond Morton. These two individuals, who both worked in DND’s historical section, have published hundreds of books and articles on Canadian military history and foreign policy. Turns out the military wants to control what you think about them and are willing to spend your tax dollars to do it.